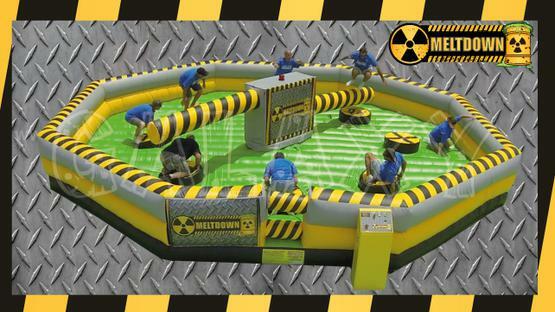 Meltdown is a game designed to challenge your agility, balance and endurance. Either duck or jump over the two spinning beams or get wiped out! Up to 8 players can enjoy Meltdown at any one time!